I would venture to say that one of everyone’s all-time favorite Nintendo games is Paper Boy. Am I wrong here? I really don’t think I am. 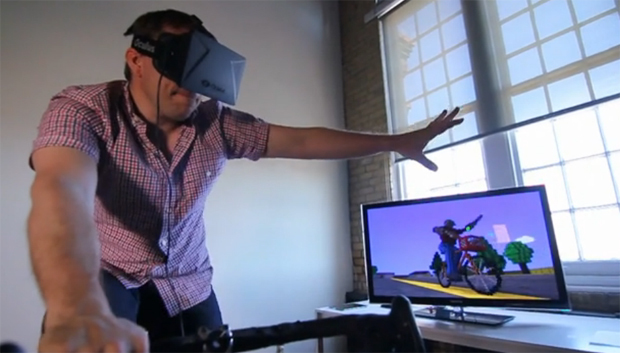 What if you could play Paper Boy and actually benefit from it as a bike workout? What if you could play it in first person view and actually throw out the papers yourself in the Paper Boy world? What if people could watch you playing the game and see you looking like a character out of the Dire Straits music video for “Money For Nothing”? Me?… I’m a happy Jedi. I give you via these geniuses, Virtual Paper Boy.